And then there were four on day eight of the 2017 BDO World Championship. Yes, it’s semi-final day at the Lakeside, and we have three of the top players in the BDO rankings along with Darryl Fitton, who is no slouch himself. We have one men’s semi-final in the afternoon featuring Glen Durrant and Jamie Hughes, and we have the second semi-final in the evening, at 6pm, featuring Danny Noppert and Darryl Fitton. Here’s the thing – Glen Durrant has been underpriced since day one of the tournament. He was 11/8 to win the tournament and he’s been short odds-on to win ever match. Has he won any of his matches in the style of a man who should be that short? No. He’s been priced on reputation alone. There had been expectation on him to blast in 100 averages and whitewash everyone and it just hasn’t happened. In fact, Durrant has been averaging around the 90 mark and not looking like the standout player we know he has been in the past. The same can’t be said for Jamie Hughes. Hughes has shown a side to his darts I hadn’t expected – bottle. He came through a tough one against Martin Adams and after he busted his 126 by going for the bull instead of double 6 to lose the eighth set, he could have just lost the plot, but he fought hard, scored reasonably well and took the match. Like every other game, Durrant has been underpriced and this time we have to oppose him just on value alone, as Hughes has been playing just as well, if not better, than the BDO number one. So take Jamie Hughes to win in what looks like real value to me. 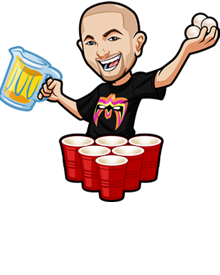 Back Jamie Hughes to win at https://www.Bovada.lv. I was having a conversation with a friend about Danny Noppert and we came to the conclusion that he’s been playing like the BDO equivalent of James Wade. Nopert has been grinding away, putting in solid is unspectacular performances and just mopping up when his opponent lets him in. It’s been a championship-winning performance and he’s just coasted through with some real class. As for Darryl Fitton, well, you know what you’re going to get, and that’s some big scores mixed with some trash and a lot of missed doubles. Fitton will be looking to finally get to his first BDO World Championship final, but the pressure is on for him, and that might be telling for someone who’s been coming to the Lakeside for well over a decade now. Noppert, as I said, is going to mop up any chances given to him and I think Fitton is going to give him a lot to mop up. Noppert has been the steady player in the tournament so far, he’s not looked flustered and this might just be like any other game for him, unlike Fitton. It could be over quickly, so get stuck into Danny Noppert -2.5 sets for the second bet of the day. Bet on Danny Noppert -2.5 sets at https://www.Bovada.lv. 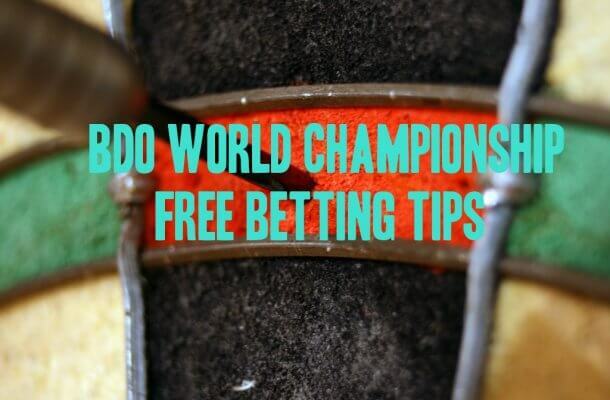 I’ll be back on Sunday for the final day of free darts betting tips, with the BDO World Championship Final. Until then, enjoy the semi-finals and I’ll see you!